Eight digits IV-18 (-18) VFD tubes display is made in USSR(1980-1990).These vintage tubes are still available. But the quantities in the market now is limited I think considering that it's really a vintage design.Young generations may have never seen its limpid cyan fluorescence, given life by the intelligence of the last century. 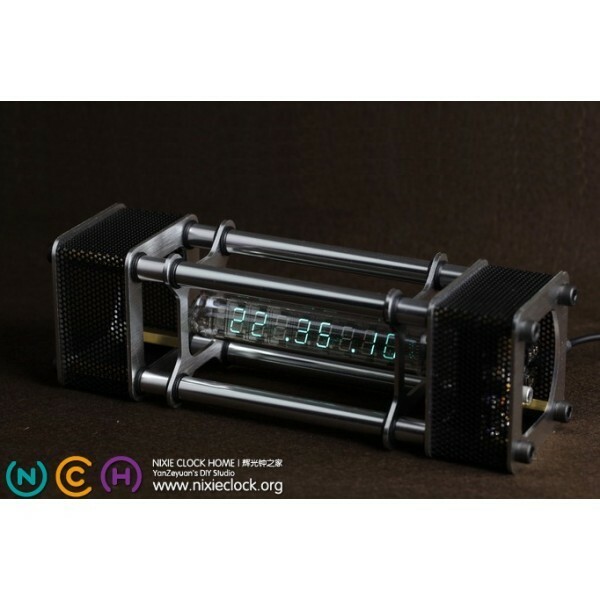 This IV-18 VFD tubes Clock (Energy Pillar) is fully assembled and calibrated IV-18 VFD clock.Though the VFDs need a voltage of around 40-50 volts to light the multiplexed display. But this product just required 5 volts power supply via the Mini USB cable.And it's avaiable to switch the rich functions integrated in this product by a remote controller. I can't wait to show you more specifications about this attractive design. 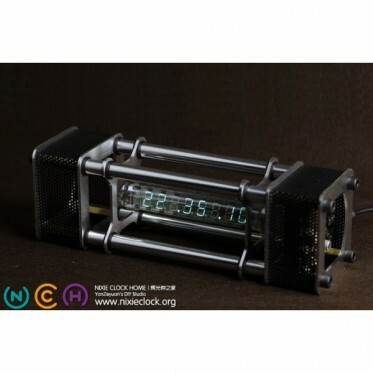 This Clock has build-in temperature sensor and light sensor. It will automatically adjust the brightness of VFD based on the environmental light condition. It has aluminium alloy shell with anodizing process,Gold Plating PCB and fully functionalInfrared remote control.